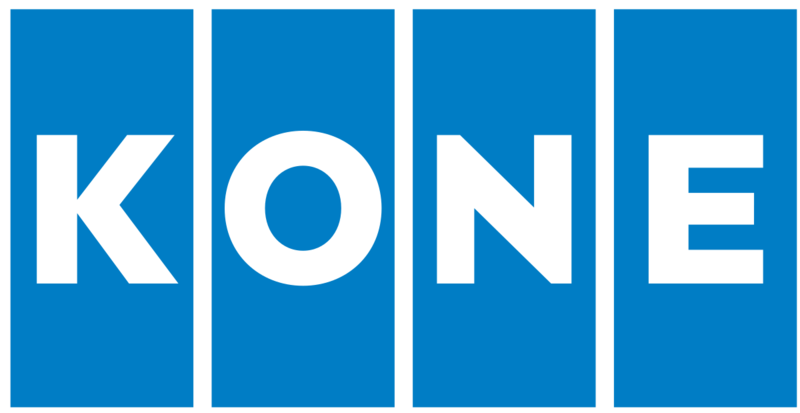 KONE is a global supplier of vertical transportation products and modernization services. 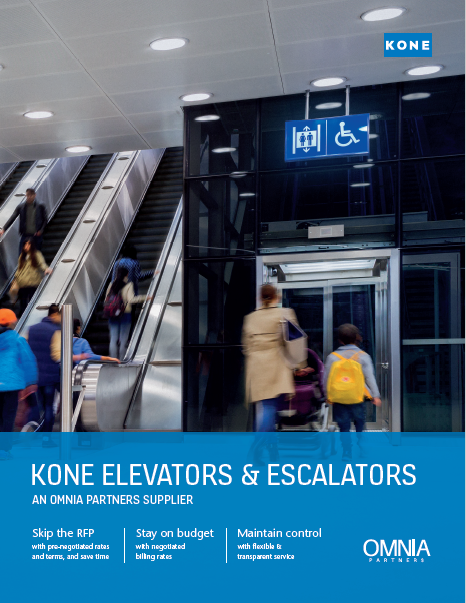 KONE specializes in elevators, escalators, moving walks and ramps. They design, manufacture, install, and provide modernization, maintenance and repair services. 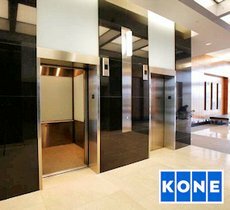 The job of KONE Service Technicians is to make sure that your elevators and escalators run smoothly and dependably. KONE’s primary goal is to ensure maximum availability and protect the integrity of your asset all while ensuring the safest possible environment in and around your equipment. KONE Service Technicians have the integrity, expertise and dedication that have made them leaders in setting global maintenance standards. With a nationwide team of dedicated vertical transportation professionals, KONE can assist with all your service, repair and modernization needs. More than one third of the world's elevators and escalators are over 20 years old. In that time frame, even the best maintained equipment could fall short of expectations. The purpose of KONE modernization solutions is quite simple: to increase the value of your asset by keeping the elevators and escalators running safely and reliably for the lifetime of your building. Offer among the fastest open and close times in the industry. Faster doors mean quicker floor-to-floor times and shorter waits for passengers. Are designed and tested reliable for 800,000 elevator starts a year. That’s almost four times the typical demand. Can reduce operating noise by 50%, compared to conventional operators. FULL ELEVATOR REPLACEMENT FOR LOW- TO MID-RISE BUILDINGS. With KONE MonoSpace® 500 Flex, you don't have to choose between the long-term benefits of a full replacement and the convenience of a simple upgrade. Thanks to innovative KONE MonoSpace 500® Flex manufacturing and installation, your new elevator can be tailored to fit your building's existing hoist way and entrances. With 500,000+ installs over 20 years, we've got you covered. Download the brochure to learn more. KONE’s elevator solutions are designed with effectiveness at the forefront, not only to provide the best people flow in and around buildings, but to have a lasting positive impact on building value and business performance. Our elevators, escalators, monitoring and access control systems, are designed to go beyond the need to simply move people. Twenty years ago, we pioneered the revolutionary machine room-less elevator. The renewed KONE MonoSpace® machine room-less elevator combines our proven eco-efficient technology with ride-comfort and design innovations. Our goal is to create a user experience that both adds value to a building and maximizes comfort and safety for passengers. Our renewed solution has a number of eco-efficient features and options. Enhanced KONE EcoDisc® hoisting machinery makes elevator operation more energy efficient than ever. Eco-efficient regenerative drive technology recycles energy for immediate reuse within a building and can cut elevator energy consumption by up to 20%. Modern LED lighting is up to 80% more efficient and lasts up to 10 times longer than halogen lighting. Advanced standby solutions cut energy consumption by powering down the equipment when it’s not in use. A smooth and quiet ride - the KONE MonoSpace® elevator solution is designed to deliver industry-leading ride comfort year after year. Every elevator we install complies with our strict ride-comfort standards. Enhanced machinery and brakes ensure smooth acceleration and deceleration, accurate leveling, and a quiet, comfortable ride. Optimized hoisting system cuts noise and vibration inside the car for remarkably quiet operation. Learn more about our design tools, planning consultation support and professional project management. How do I convert my current agreement to the new City of Kansas City agreement? How do I place an order with KONE? You must be a registered participant to utilize the contract. If not, please Register to Participate. To order once registered, send an email to OMNIAPartners@kone.com or call (877) 276-8691. Your request will be forwarded to Kone’s National Account Team for follow-up within 48 hours. How do I know KONE can properly support all of my different types of equipment? KONE currently maintains over 140,000 units in North America. Over 60% of these units were originally manufactured by other companies. Elevators, escalators, power walks, dumbwaiters, handicap lifts and wheelchair lifts are the major products serviced. KONE has a national technical support and training program for non-KONE equipment. If there is a serviceability issue which prevents KONE from being able to properly support a piece of equipment, they will explain the circumstances and politely decline. KONE Spares serves as the national distribution center for the necessary maintenance and repair parts used by KONE Branch Offices. Spares is dedicated to providing parts for all makes, models and ages of vertical transportation equipment. As an independent division of KONE, they have established purchasing relationships with all the major manufacturers as well as dozens of independent suppliers to the industry. They stock thousands of parts ready to ship immediately. If there is a concern about parts availability, this will be identified during the survey process. What happens if I have special or unique terms & conditions that are mandated to be included in my contract by our legal staff? By utilizing the contract terms in place, the cycle time for contract approval is reduced dramatically. When public agencies have a need for special terms and conditions, we will address these on a case by case basis. 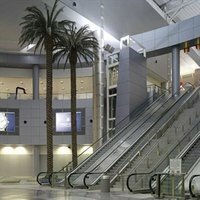 What if my elevators and escalators will be coming off of existing contracts on different dates? Multiple or staggered contract dates are not a problem. We are happy to survey and contract for the units that are available now and add units when the current contract expires. This can also be streamlined by using a simple one page rider (Exhibit 4) to add equipment to the existing contract without changing the terms and conditions that have already been established. What if we have a unit that is removed or taken out of service or if we sell a building and have to take units off the contract? This is not a problem. We know circumstances will change over the course of a contract and units can be added or deleted from the contract for reasons such as modernization, building closures, unit decommissioning or units that are no longer used. We can also assist with proper and code required decommissioning if needed. This process can be completed by utilizing Exhibit 4. Can KONE provide additional services for my capital expenditures needs or does the contract just apply to maintenance? It applies to maintenance, repair, modernization and new construction for all vertical transportation equipment. These scopes are detailed in the master contract and available to public agencies regardless of whether they currently have an active maintenance contract in place with KONE. These services can be utilized on a project basis (individualized/separate) without further commitment from the public agency on other services. I noticed that the City of Kansas City agreement has specific MBE/WBE requirements. Do we have to include similar requirements for my contract? No, this is specific to the City of KC agreement. It will be up to each public agency to determine if certain requirements such as MBE/WBE are to be included in their agreement. Can you explain KONE’s pricing structure? Elevator maintenance and repair is unique for each customer, so pricing is dramatically affected by age, condition, environment, duty, scope and density. 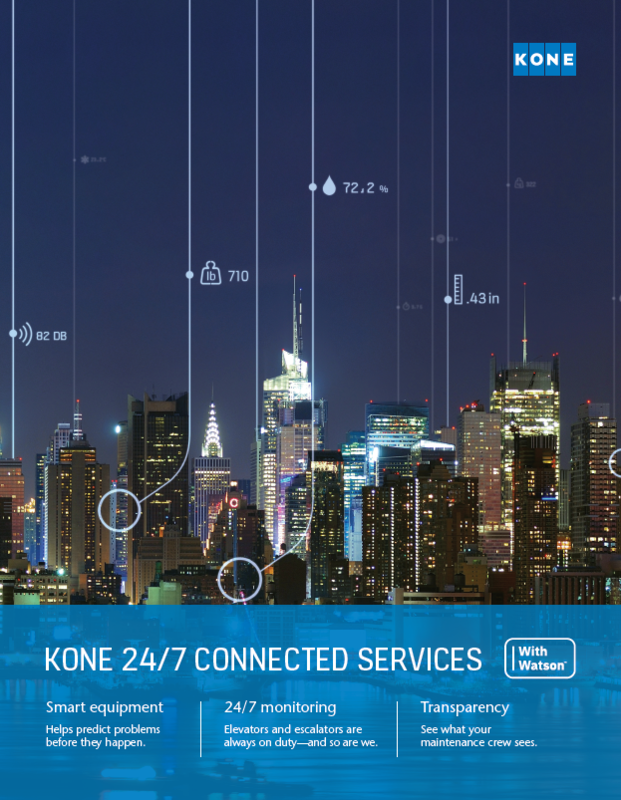 KONE’s commitment is to provide the best value solution after having a full understanding of these conditions and the budgetary needs of the Public Agency. KONE professionals will perform a no cost no obligation survey of your facilities to determine the most appropriate service program to enhance the operation and dependability of your equipment. We will then consult with your team to understand any unique circumstances or special needs so we can develop a value-based proposal that includes options for short- and long-term considerations to provide or enhance safety, reliability, performance, and protect the integrity of your equipment. National labor rates and material markups are identified in Exhibit 3 of the Master Contract. Elevator and escalator users have a responsibility when using the equipment to use the equipment in a safe manner. For example, children should be properly supervised when using both elevators and escalators, and large items such as baby strollers, heavy luggage, or shopping carts should not be transported on escalators. Below are some helpful tips. Using an elevator or escalator properly helps provides for a safe and comfortable ride for everyone. Follow these simple guidelines to prevent injuries and enhance safety. What to do if the elevator stops? Is the Stop button activated? Are all key switches in the normal 'run' position? Is the Independent Service switch in the 'on' position? Is the elevator on Fireman Service? Is there an object (gum, paper, etc.) obstructing the infrared door detector or photo eye? Wipe down the infrared door detector or photo eye with a dry cloth. Is there an object (screw, coin, etc.) in the door sill or track, preventing the door from closing? Are the doors properly closed at all floors? Is the machine room dry and at normal room temperature? For hydraulic elevators, run the car several times to heat up the oil in the power unit and ensure correct operation. If your equipment is not operational after checking the above items, place a service call with the KONE Customer Care Center. As we near the height of storms/hurricane season, building managers must understand what's at risk if they don't take the necessary safety precautions with their elevators. If your building is in the storm/hurricane danger zone along the coasts, you don't want to put passengers in unnecessary danger in your elevators following a natural disaster. On top of that, taking precautionary care of elevators can prevent significant damage and avoid costly repairs. KONE has developed a before, during, and after safety checklist to follow in preparation for a storm/hurricane. For example, before a hurricane, it is important to check all sump pumps, float switches, and alarms in elevator pits. During a hurricane, elevators should be parked at the top floor of the hoistway, with the main breaker switched off. After the storm, inspect every part of the elevator for water, and don't turn it on if water is found. Visit our blog to view the entire checklist.